Model/actress Audreyana Michelle, and CRUSHXO are partnering with Just Like My Child Foundation, an international nonprofit whose mission is to empower girls in Uganda. Why? 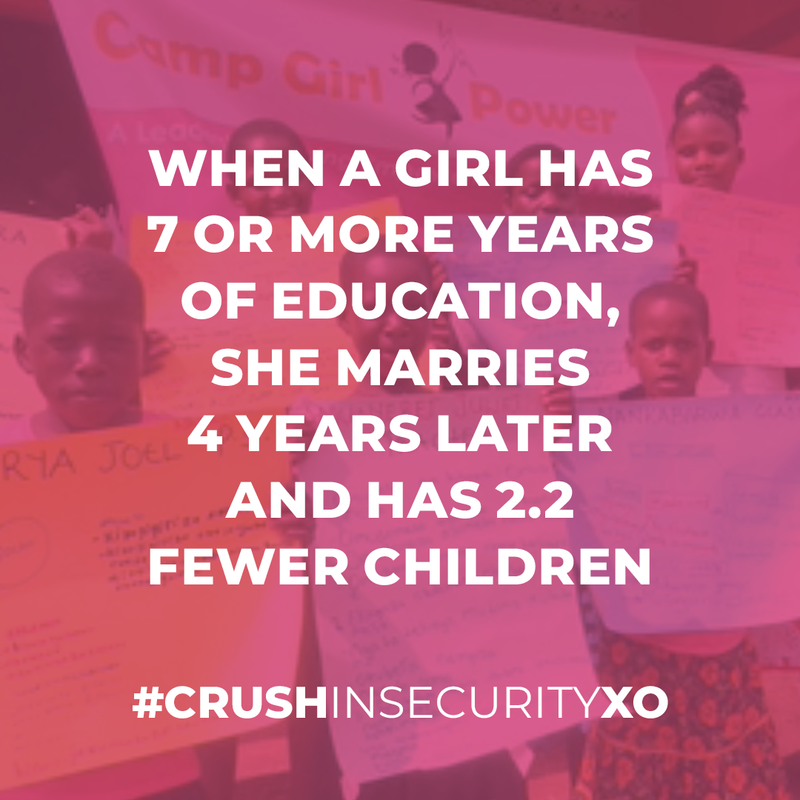 Nearly 50% of girls drop out of school by age 15 because there is not a strong emphasis on their future. 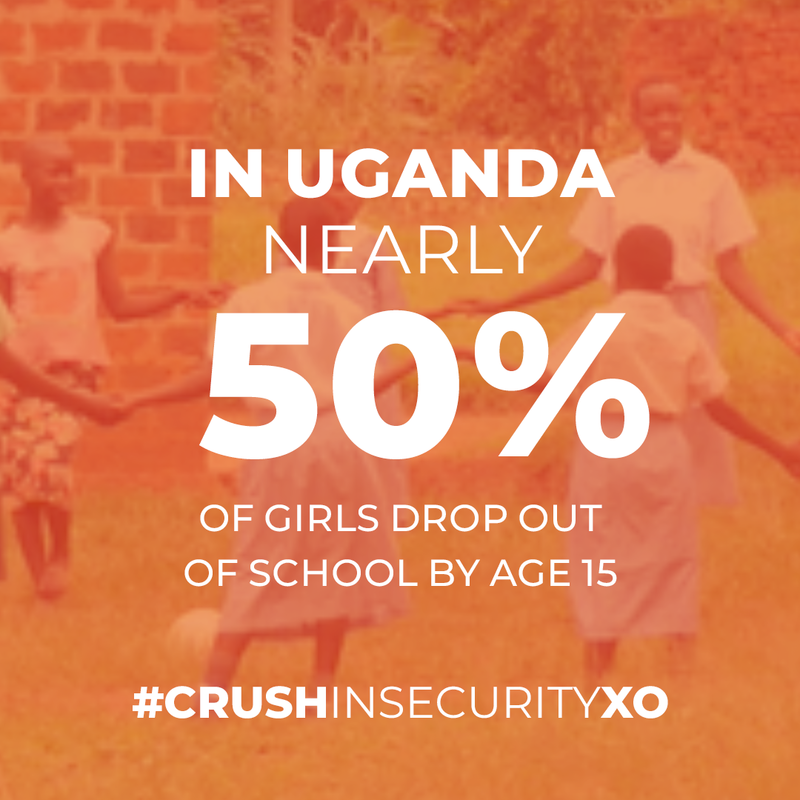 Join forces to keep at risk Ugandan girls in school and thriving. The next $20,000 raised allows 200 girls to attend the Girl Power Project. This powerful two-year program is run by females mentors and Ugandan police officers, teaching confidence skills, reproductive health, entrepreneurship and self-defense to young girls. Exchange opportunities between Ugandan Girls and young women in the U.S.
YOU CHANGED A GIRL’S LIFE. YEP, YOU. Use your social channels for good. 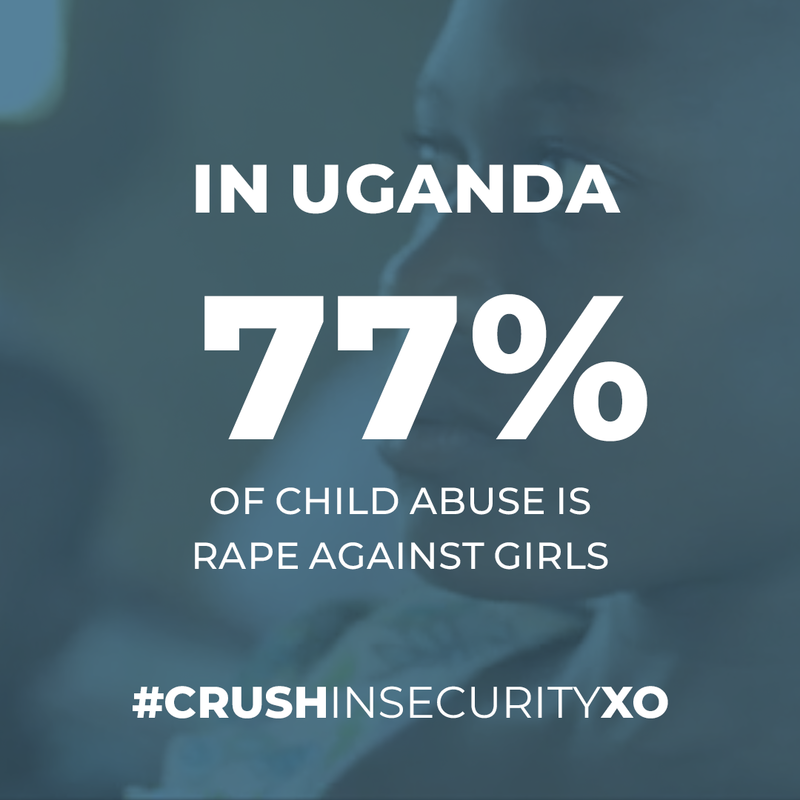 Share these statistics about girls in Uganda. When you teach someone in need about Just Like My Child Foundation, you’re helping save a life. Discover more ways to make an impact. Donate directly to Just Like My Child Foundation on their website or support by following their social channels below. Stay connected. Receive campaign updates, volunteer opportunities and more ways to get involved so we can #CRUSHINSECURITYXO together.